Swimming is a healthy activity that adds variety to your fitness routine, regardless of age or fitness level. The water supports your weight and doesn’t strain your back, hips, or knees. 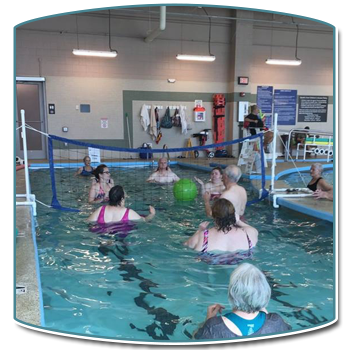 At Powell Wellness Center (PWC), our functional Aquatic Arena is the perfect environment for treating rehabilitation patients as well as providing health and fitness benefits for all ages. Warm-water pool for exercising and therapy. Two pockets, located on the outside corners, that allow for swim lessons as well as individual therapy sessions. Two-lane walking oval with chest-high water that provides a slight current for extra resistance for walking or swimming. Two 18-yard lanes for lap swimming or aqua classes. We also offer a hot tub, sauna, and steam room, which are designed to help with functionality concerns, stiff joints, and toxin removal from the body through perspiration. Enjoy the PWC Aquatic Arena for an excellent swimming, therapy, or stress-relief experience! PWC offers both group and private swim lessons based on the American Red Cross (ARC) Learn to Swim program. The goal of all our certified swim instructors is to assist you in making progress in your aquatic comfort level and swimming ability. Private lessons, conducted one-on-one, allow instructors to customize lessons to a participant’s skill level. A private lesson is a great option for adults or children who have had a traumatic experience with water, or for students who may become distracted with other participants. Semi-private lessons are also available and allow for up to three students. This is a great option for families with multiple children who want to take the classes together. Private lessons are by request only. 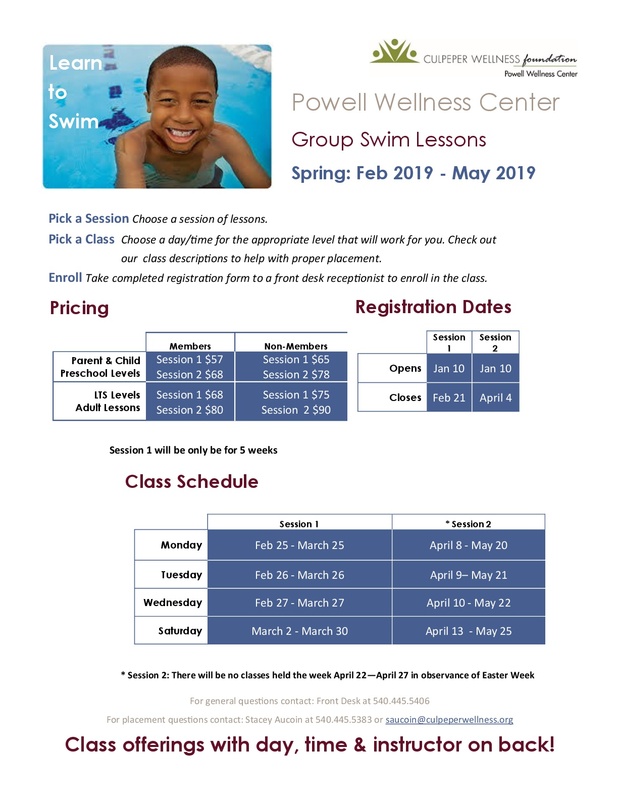 Please contact Aquatics Manager Stacey Aucoin at 540-445-5383 or saucoin@culpeperwellness.org for more information on private swim lessons. PWC offers a safe and high-quality swimming environment for families to gather for swimming. Each family swim participant should sign in at the front desk to enter the pool and then check out when they are finished. Family swim is limited to 50 participants. After 50 participants sign in, additional participants will be added to a waiting list and admitted as space becomes available. 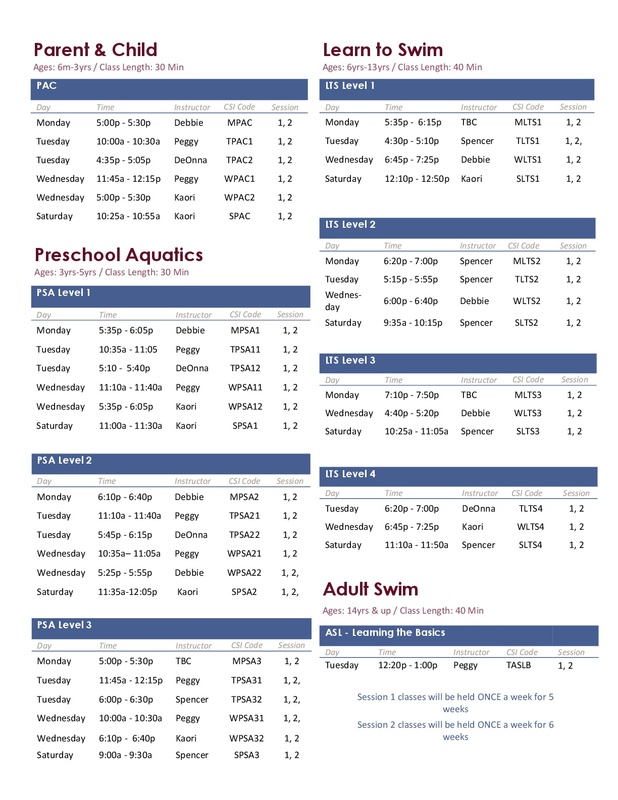 The family swim sign-in sheet is available 15 minutes before the scheduled start time. Non-member guests must be accompanied by a current PWC member. Non-member cost is $3 per guest age 15 and under and $5 per guest age 16 and older. Children age 16 and up that are members may use the TURTTLE pool during all hours of operation. Do you enjoy swimming and working with children? Are you interested in becoming a water safety instructor? PWC is looking for outgoing individuals to teach swimming lessons. 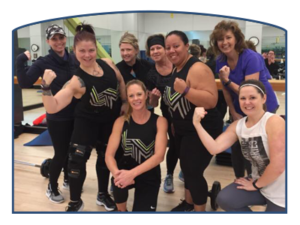 Don’t have your WSI certification yet? PWC will be putting a class together for interested individuals. For more information contact Aquatics Manager Stacey Aucoin at saucoin@culpeperwellness.org.